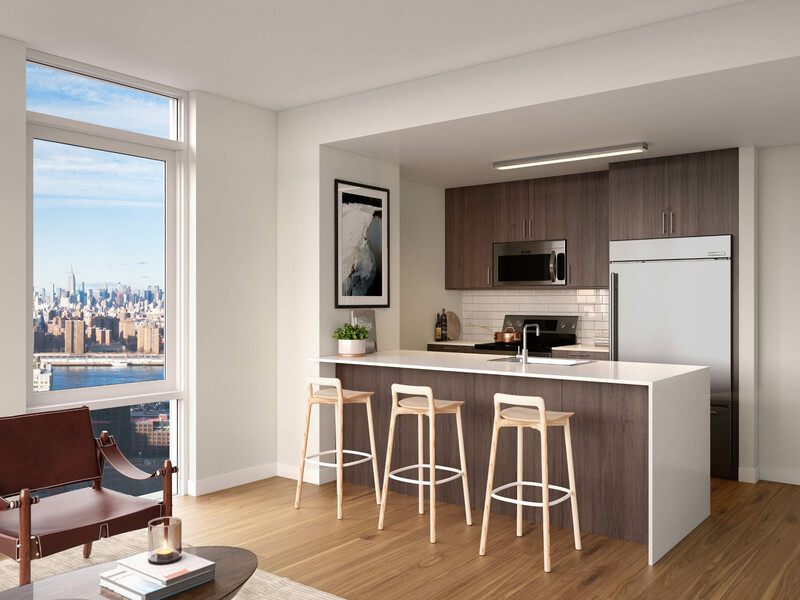 Condo-style rentals high above the Brooklyn & Manhattan bridges. Mixing open concept layouts across the dining and living areas with traditional design keeps the bedrooms distinct, giving each apartment an airy and spacious character. 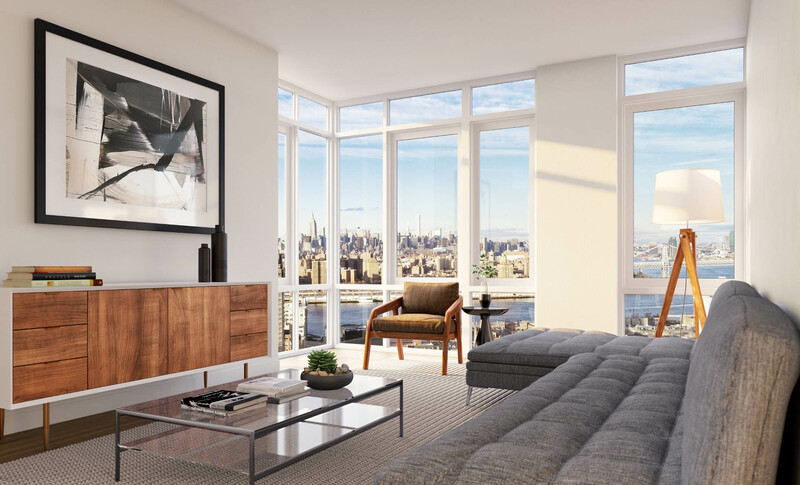 9-foot ceilings and windows that extend the height of the room for light, bright layouts and maximal views. Every kitchen features a white subway tile backsplash, custom walnut cabinetry, Caesarstone countertops with waterfall edges, and KitchenAid appliances. 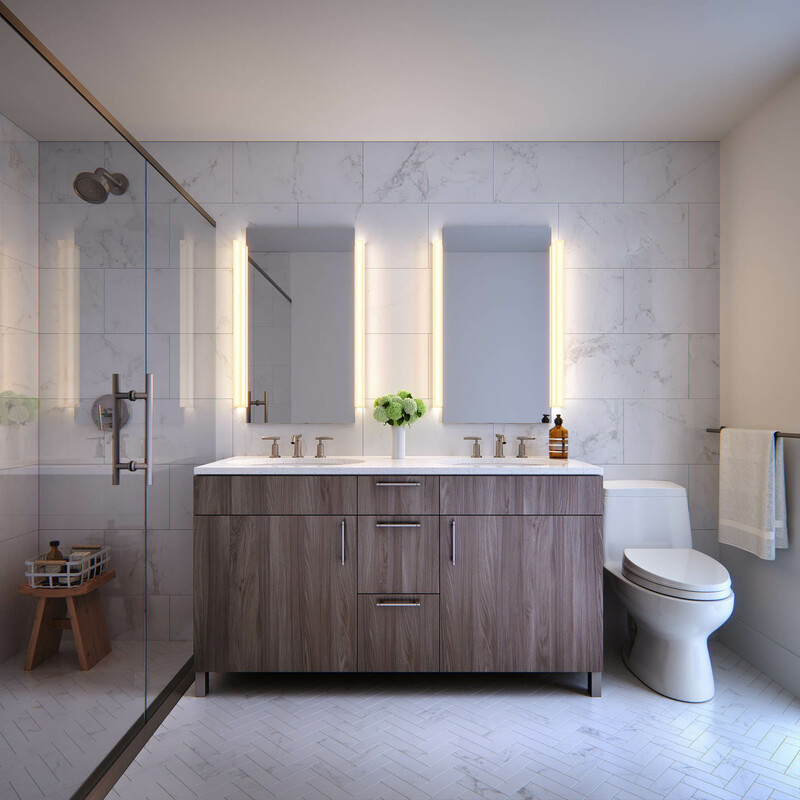 Whether a studio or three-bedroom, each comes with a bathroom featuring matte finished porcelain tile floors set in a herringbone pattern, glazed porcelain tile walls, and an oversized showerhead.